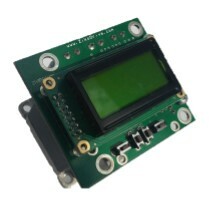 Like all Zikodrive Motor Controllers, the ZD10LCD Stepper Motor Controller is a flexible and suitable for a wide range of applications. However, one of the most popular applications for this particular controller is in pumping and process control applications. Whether it be gear pumps, peristaltic pumps or something completely different, the flexibility of the ZD10LCD enables it to deliver. This page guides you through some of the most important features on this particular programme in order to demonstrate the flexibility and options available with the ZD10LCD motor controller. Please bear in mind that customising this programme for your application is one of the main options we offer. If there’s a feature you’d like to have or a question you need to ask then we would actively encourage you to contact us to discuss how we can help. Using calibration mode effectively is critical to getting the best out of the dosing and dispensing modes available on the ZD10LCD Controller. By calibrating the pump to the specific application you have you can then use the extra control features of the ZD10LCD in a much more informed way. Dispensing mode is the simplest mode within the pump programme. In this mode you can quickly and easily operate the basic controls on the motor. The critical difference with this function is the advanced calibration options available. By setting this up and calibrating it in your specific application you can quickly and easily keep a close eye on how much fluid has been dispensed. Any adjustments you want to make in the speed are automatically noted. In dose mode the controller enables quick and easy dosing. You can use the calibration system to setup an accurate calibration and then dose mode will calculate the exact number of turns (down to 1/3200 of a revolution) required to deliver this dose accurately. You can programme the unit to dose at regular intervals for and programme how many times it will do this. In analogue mode the controller will operate in exactly the same way as a standard stepper motor controller. These inputs can also be used to control certain aspects of the stepper motor controller’s performance. 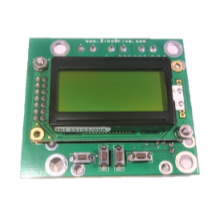 If you’re interested in trying the ZD10LCD stepper motor controller in pump mode then simply click the buy now button opposite and you’ll be taken to the payment page. Don’t forget that we can supply this with a range of matched stepper motors to meet the torque requirement of your choice. 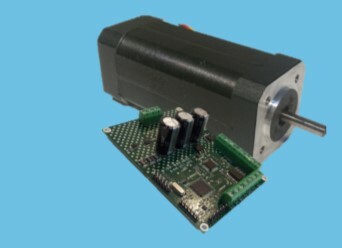 If you’re interested in the ZD10LCD stepper motor controller but want a customised programme for your product or company then it’s often worth buying one in pump mode first to have a play around with as this can help generate possibilities and ideas for your new project. If you’re not sure if this is the best option for you and want to talk to someone please do give us a call – we will be happy to discuss your requirements.